Big Brand Water Filter whole house booster pumps are more reliable and have far more flexibility than any other pump of this type on the market. First off the pressure switch is adjustable for when the pump turns on. This allows you to make the pump operate according you your conditions. Maybe you have an atmospheric storage tank and just a few psi. The switch can be adjusted for that. In addition there is a built in flow switch that turns on when flow is greater than 0.7 gpm, then shuts off when flow is below 0.3 gpm. This switch is adjustable also. Finally we put the air valve for the bladder tank where it is most convenient on the end of the pump so you can adjust the tank to just below your incoming line pressure to be most effective. Optionally you can install an external bladder tank to reduce pump cycling and continuous running. This can save electricity and reduce wear on the pump. Please review the PB-50 manual download in the manuals tab. 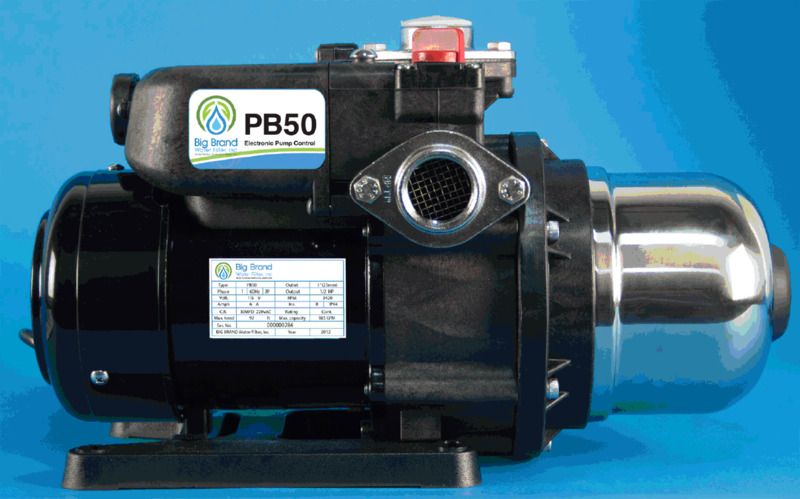 The PB series are designed for the pumping of non-aggressive water, or water not containing solid particles. 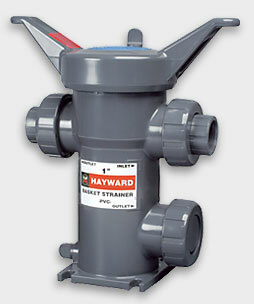 If your water supply contains suspended solids please contact Big Brand Water Filter for proper pre-filtration such as a basket strainer, screen filter or other filtration device before installing the pump.